To register, see our Registration Page. 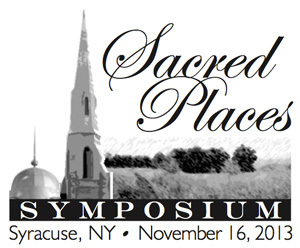 The Preservation Association of Central New York (PACNY) will present the first ‘SACRED PLACES SYMPOSIUM’ on Saturday, NOVEMBER 16th from 9:30 am to 4:15 pm, at St. Paul’s Episcopal Cathedral, 310 Montgomery Street in Syracuse, New York. 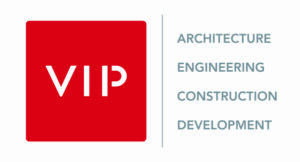 This one-day event will address many challenges and opportunities associated with some of the region’s most culturally and architecturally valued buildings and places – including insights and case studies on assessing, maintaining, funding, and reusing religious properties and sacred sites. The Symposium will bring together an array of expert practitioners to discuss the issues that can determine the fate of these magnificent community places, and the neighborhoods that surround them. 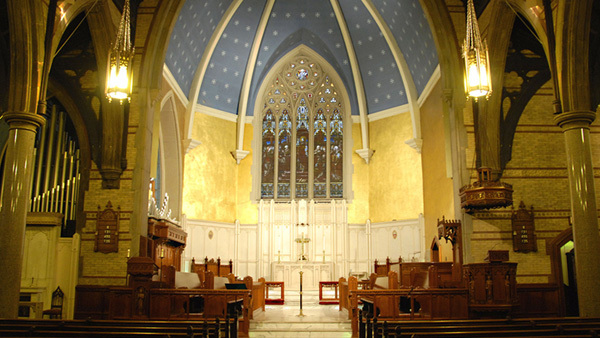 St. Paul’s Episcopal Cathedral interior. St. Paul’s Episcopal Cathedral at 310 Montgomery Street. Click for directions. Parking: Parking on the day of the event is available in the Key Bank drive-through parking lot on E. Washington Street. 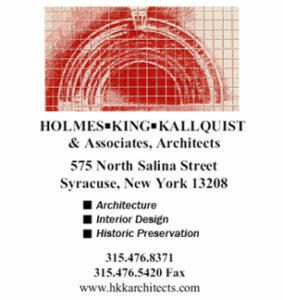 Hotel rooms for Symposium Attendees are available at a special discounted rate of $129 at the Hotel Skyler in Syracuse by calling call (800) 365-4663 and asking for the “Preservation Association block at the Hotel Skyler.” Additional information about the Preservation Association of Central New York as well as detailed Sacred Places Symposium session schedules, descriptions, and speaker bios will be available at pacny.net.